If ever an example is needed to illustrate the highs and lows of a racecar driver’s life, then look no further than the last time No. 14 Haas Automation VF-1 for Stewart-Haas Racing (SHR) driver Clint Bowyer raced at Pocono (Pa.) Raceway and the days that followed. Bowyer qualified ninth for the June 3 race at Pocono and ran in the top-five much of the day. In the closing laps, it appeared Bowyer was in line to battle for the victory, but a missed shift with five laps remaining dropped him to the back of the pack and left him with a 20th-place finish. He beat himself up for the next several days as the Monster Energy NASCAR Cup Series headed to the next race at Michigan International Speedway in Brooklyn. 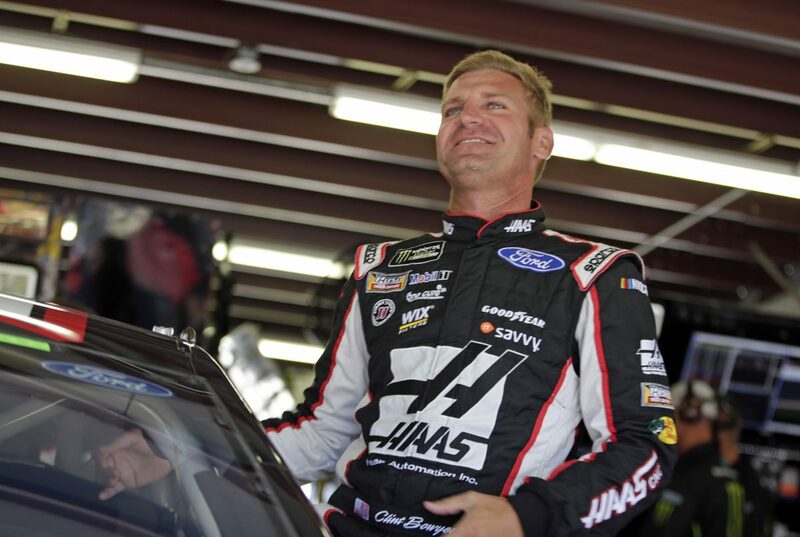 Seven days after the Pocono disappointment, a late, two-tire stop for track position, combined with some of the best driving of his racing career at the high-speed Michigan oval enabled Bowyer to edge SHR teammate and always tough competitor Kevin Harvick. Rain ended the race early, putting Bowyer in victory lane for the second time in 2018. It was a race that saw SHR sweep the top three spots for the first time in its 10 years of Cup Series racing, and Ford claim seven of the top eight spots. It was in the final laps that Bowyer earned the victory. It capped a pretty emotional week of disappointment and success, but that’s part of the sport. Bowyer arrives at Pocono after a disappointing run in New Hampshire, where a late-race accident left him with a 35th-place finish. Like he did at Michigan, he hopes to rebound this weekend when the Cup Series returns to the 2.5-mile Pocono triangle. Bowyer’s No. 14 Haas Automation Ford should be one of the fastest on the track and battling for victory. He hopes the battle for victory comes down to the last few laps of the race like it did at Michigan. He said his favorite part of the sport is when everything is on the line. He hopes that attitude pays off in the NASCAR playoffs that begin in just seven races. Bowyer arrives at Pocono sixth in points with two victories, six top-five finishes and 10-top 10s in 2018. Only Bowyer, Harvick, Martin Truex Jr. and Kyle Busch own multiple victories in 2018. Bowyer has played a key role in SHR’s team success in 2018. Harvick’s win at New Hampshire Motor Speedway in Loudon last weekend marked SHR’s series-leading eighth points-paying victory 20 races into the 2018 season. SHR also won the 2018 Monster Energy NASCAR All-Star Race. New Hampshire was SHR’s 11th Cup Series victory with Ford. Bowyer has proven that, in NASCAR, disappointment one week can quickly turn to success the next week. He hopes that’s true Sunday at Pocono. Do you like returning to Pocono just 56 days after your last race there? What are your thoughts on the track at Pocono? What does Pocono mean to you?